When submitted by the user, we collect personal information like name, email-address, mobile number, preferred movie. These data are used for providing online ticket booking services. By submitting this information, you agreement to this use. The information that we collect about you is used to help us provide you with information and entertainment services. The information we collect from you is strictly trustworthy. We do not sell, rent, loan, trade, or lease the information stored in our database to any third party. 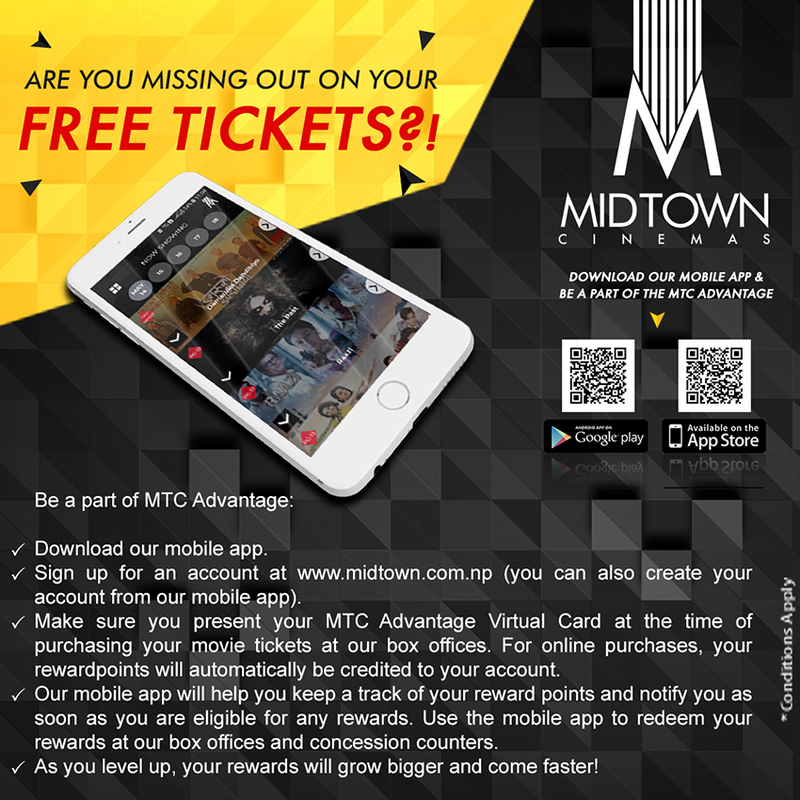 MidTown Cinemas only uses or reveals information for the purpose for which it was collected. Any personal information that we collect about customers will be kept in a database which is accessible only by those authorized to perform normal tasks such as renewing membership. Once we receive personal information from you, we take reasonable steps to ensure that all information we collect, use or disclose is accurate to forward. When using this website you must obey with these terms and conditions of uses. Movies tickets sold online through this website are done so on no returns, exchange or cancellation basis. Please select the movie carefully and double check the information you have selected to prevent you being out of pocket. When you register give an appropriate email-address and phone number about yourself. None of this material on this websites may be reproduced, downloaded, distributed, copied, republished, displayed in any form whatsoever without our permissions. Must not attempt to gain any unauthorized access to any part of this website.